The moon brewskies have landed: Budweiser and craft beer Schlafly are both coming out with limited-edition brews inspired by the 50th anniversary of the Apollo 11 moon landing, which occurred on July 20, 1969. 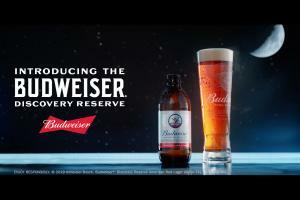 Bud’s version is called Discovery Reserve American Red Lager. Anheuser-Busch InBev says the brew is inspired by a specialty beer recipe from Bud’s archives that date back to the Apollo moon missions of the 1960s and 1970s. The 2019 version is made from medium roast “Voyager” barley malt. Schlafly’s moon brews come in a sampler pack called Lunar Lager that contains four varieties: Lift-Off Lager, Apollo’s Orbit Black Lager, Moon Walk Dunkel and The Eagle Has Landed American Lager. Schlafly touts itself as the largest locally-owned craft brewery in St. Louis, which is, of course, the hometown of Budweiser. Schlafly announced the beers on Monday, one day before Bud made its plans public. A spokeswoman for Schlafly said the announcement was coincidental and had nothing to do with Budweiser. Schlafly, which is distributed in 14 states and Washington, D.C., will support Lunar Lager with digital marketing targeting St. Louis. Budweiser, which is the nation’s fifth-largest beer, is putting sizable marketing muscle behind its Red Lager, including a TV ad from VaynerMedia. The spot uses the 1969 hit song “Spirit in the Sky,” and shows the beer sliding down a bar that has a reflection of a moon. The package design includes an image of an eagle landing on the moon. That is a nod to Anheuser-Busch’s corporate logo, which has long included an eagle, as well as Neil Armstrong’s famous quote, “the eagle has landed,” which he said as Apollo 11 descended onto the moon. 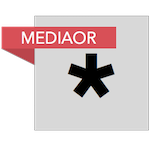 Bottle labels also show 11 stars. The moon landing-branded beer comes after the 2017 launch of the brewer’s “Bud on Mars” program. As part of the initiative, AB InBev collaborated with the International Space Station U.S. National Laboratory to experiment with barley seeds on the space station to study how the beer ingredient reacts in a microgravity environment. The program is aimed at determining the rate of barley growth in space. But it also could “help Budweiser develop new malt barley varieties that are more tolerant to extreme-stress environments and could also provide valuable insight for the general agricultural community,” according to a Bud spokeswoman.